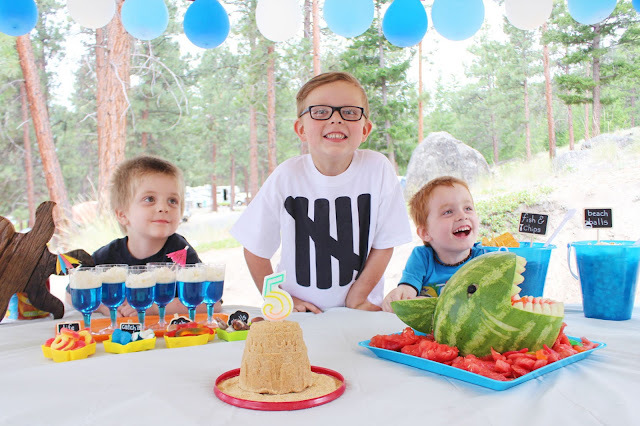 I've been neglecting this blog lately, so thought I'd catch up with a post I never put up - Liam's 5th birthday party! As always, we take the low-key route when it comes to birthdays and just went camping with a few family friends. But I still like to throw together a little theme of Liam's choosing, even if there are only a few kids there. 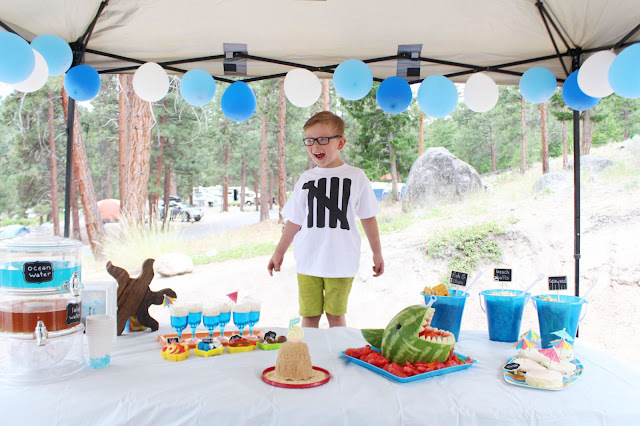 So here you have Liam's ocean-themed 5th birthday! 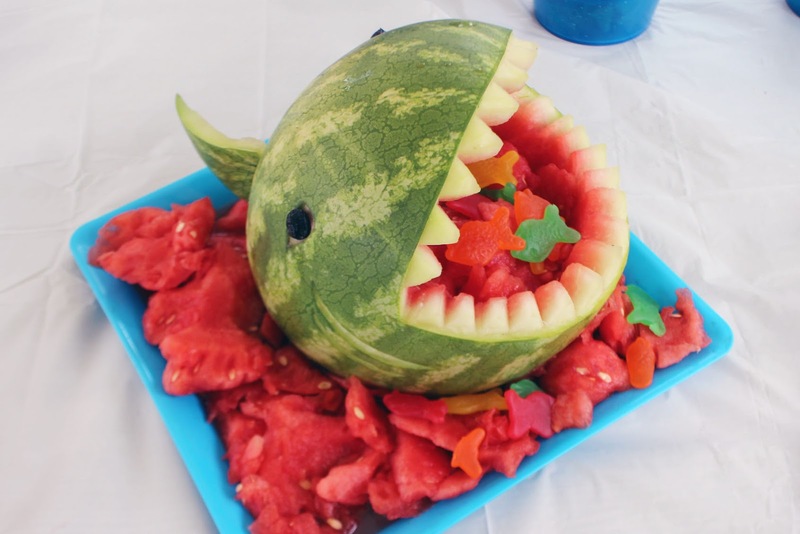 That sandcastle cake was a failed attempt at something like this, and was left with just a huge pile of cooked cake crumbs, so I shoved them inside a sandcastle pail, and this came out. It was not. edible. 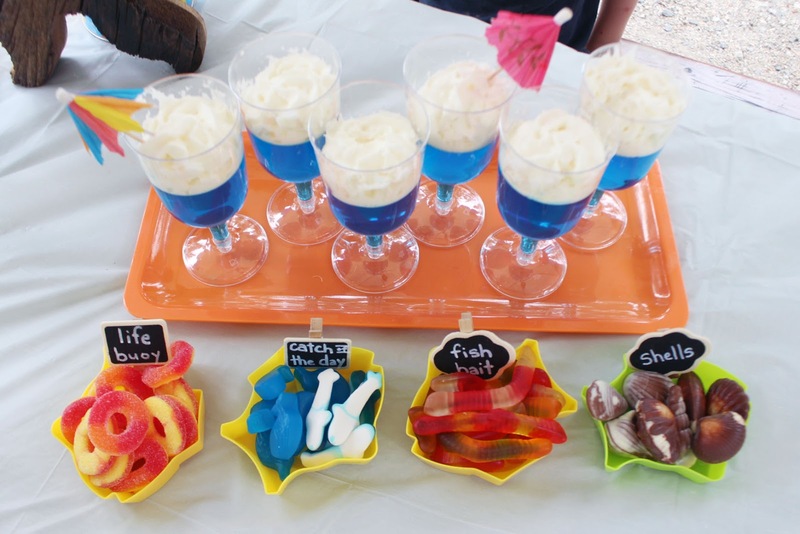 We made ocean water and waves from blue jell-o and whipped cream (no, this was clearly not a vegan friendly party) in those plastic cups and then had some gummies and chocolate to throw into your own personal sea cup. 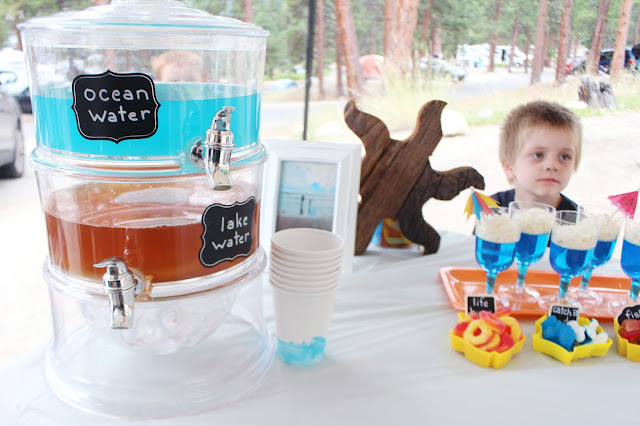 The cups I decorated with just a few quick swipes of blue paint, and had blue juice and ice tea to act as the "ocean water" and "lake water". And that's pretty much it. 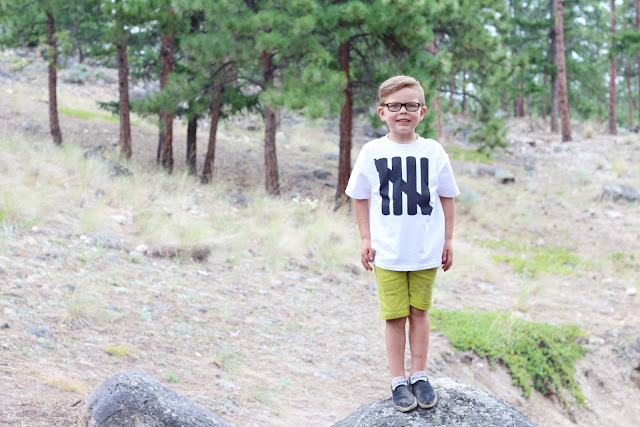 We had a fantastic weekend in the wilderness with the kids, and Liam's adorable white "5" shirt from cafe press got sufficiently filthy! 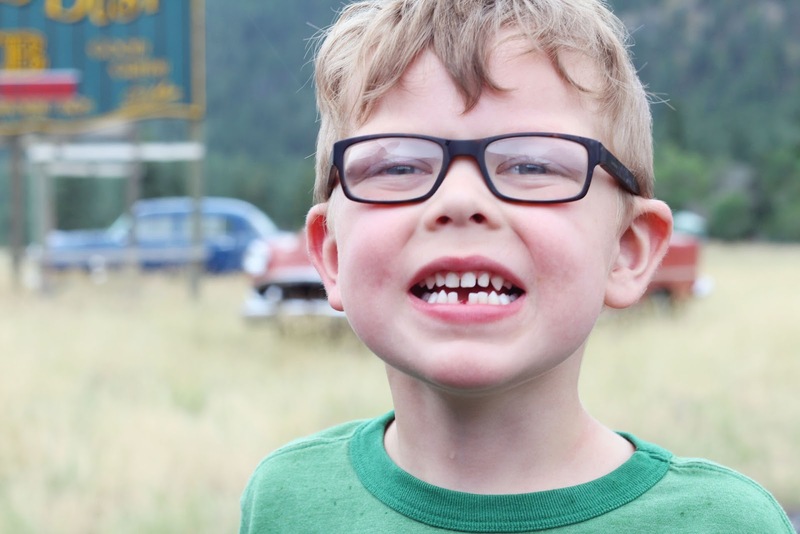 Oh and on the drive home, he lost his very first tooth!